Illustrations, including this one, will be projected during the Martian Chronicles at the Sunflower Theatre. Ray Bradbury’s “The Martian Chronicles” opens at the Sunflower Theatre this weekend — and on Four Corners airwaves. The radio play, a first for the theatre, will also be broadcasted live on KSJD Friday through Sunday. Adapting for radio presents an evolution from traditional stage performance, including writing vivid narration and composing music that tells its own story. 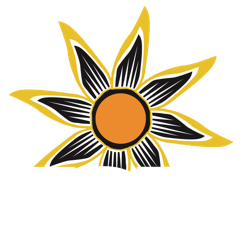 Sunflower Theatre director Desiree Henderson joined KSJD’s Daniel Rayzel for insight on producing a radio play and to share a few excerpts from rehearsal.